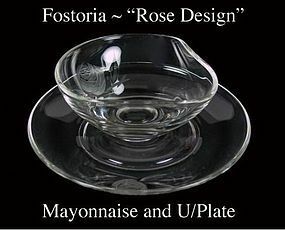 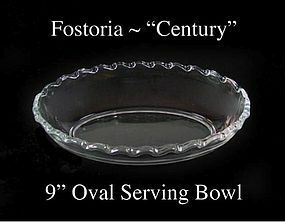 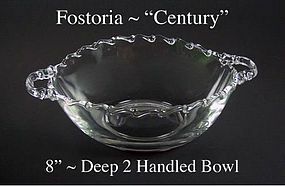 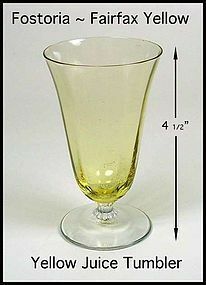 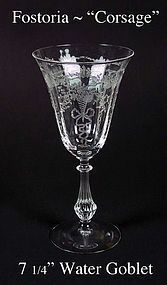 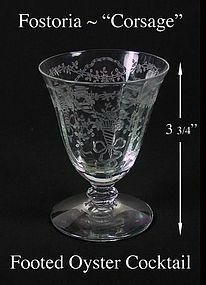 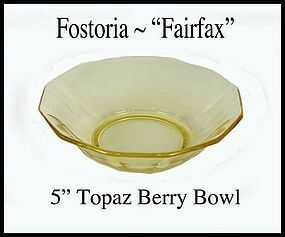 Navarre was made by the Fostoria Glass Co in the 1950's-1980's. 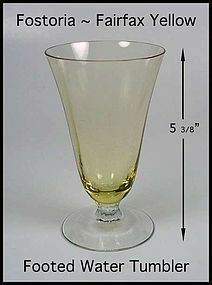 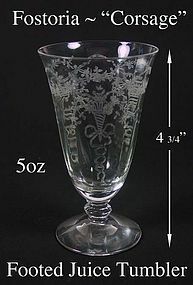 This 5 7/8" ice tea glass is in excellent condition with no damage or scratches. 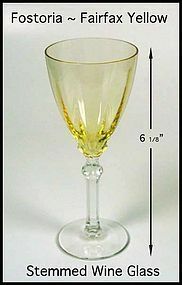 We have 6 of these ice teas available for $20.00 each. 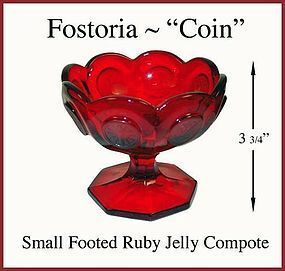 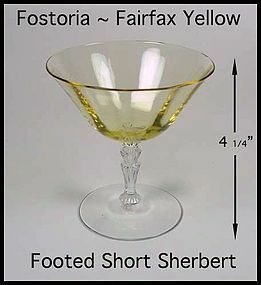 This "Corsage" footed juice tumbler was made by Fostoria and is in excellent condition! 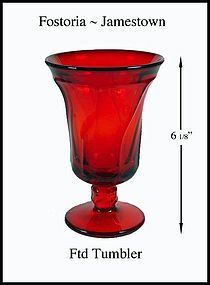 We have 2 of these juice tumblers available for $12.00 each. 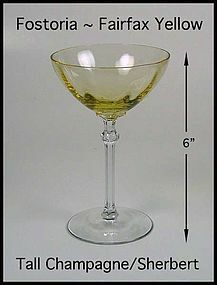 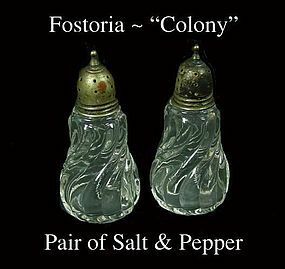 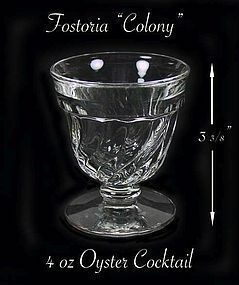 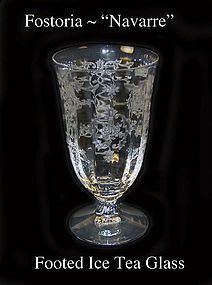 This small footed Oyster Cocktail was made by Fostoria and is in excellent condition! 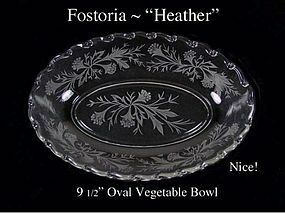 We have 1 of these available for $14.00.